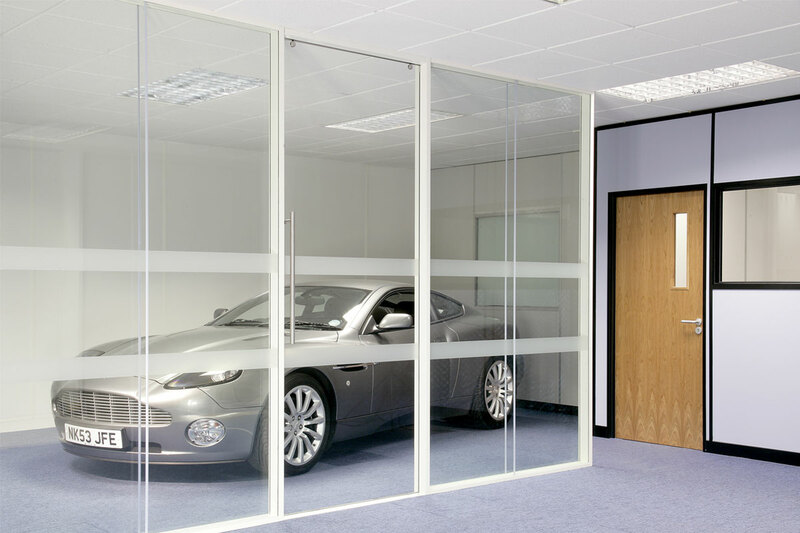 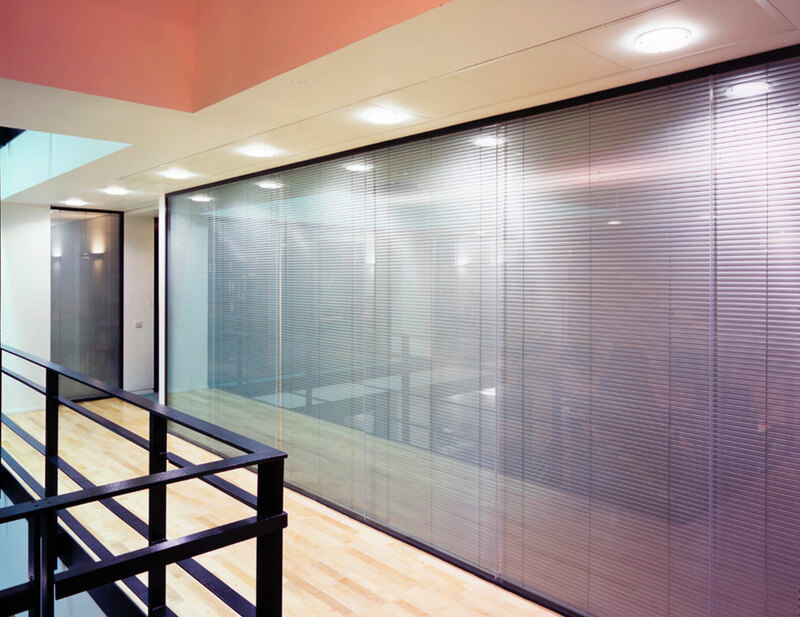 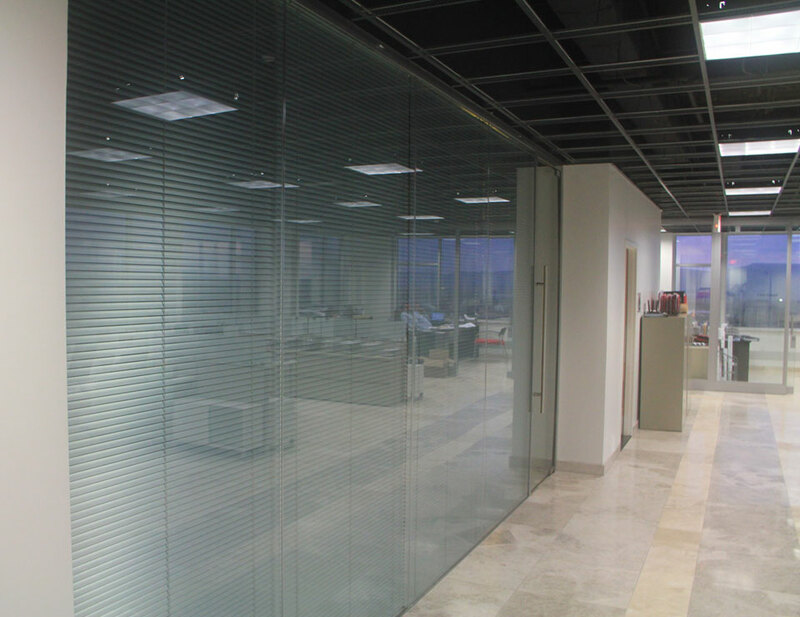 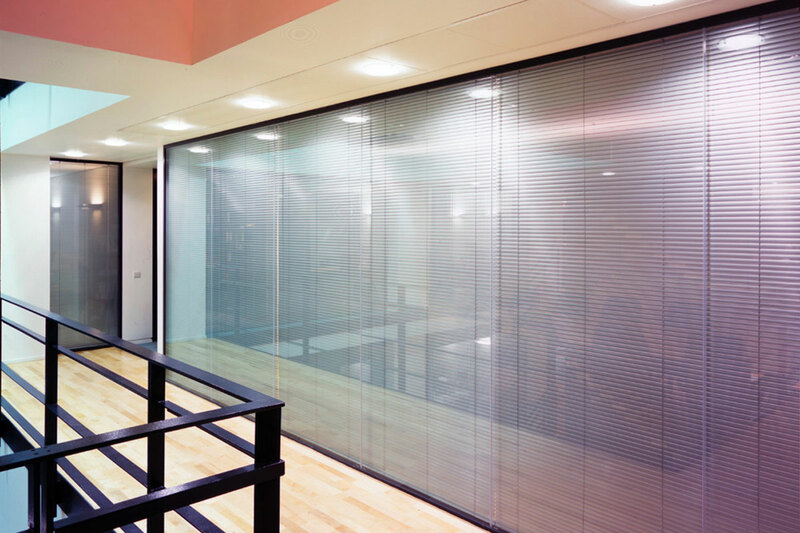 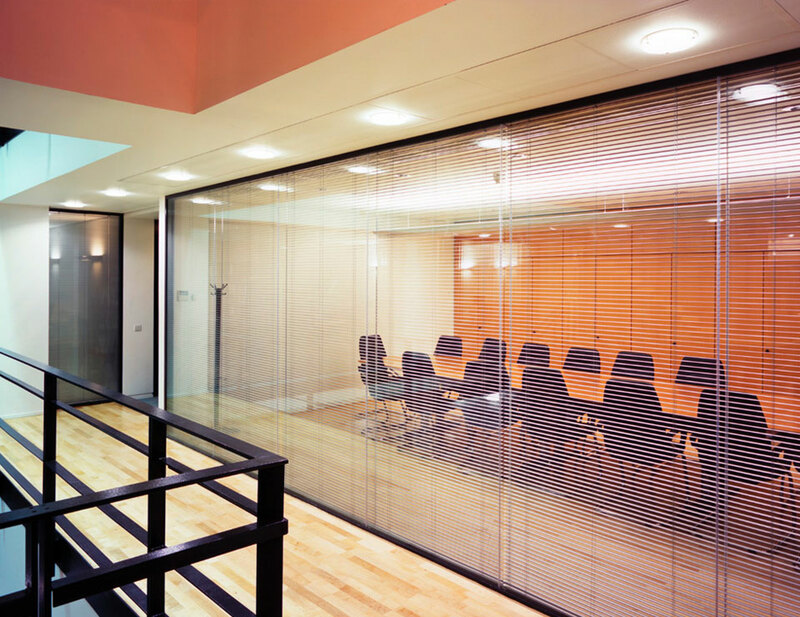 The Solare™ Acoustic Frameless Double Glazed Partition System provides the transparency of glass yet the acoustic rating of a solid wall and with the opaque Lunar™ Smart Glass or integral operable blind privacy option. 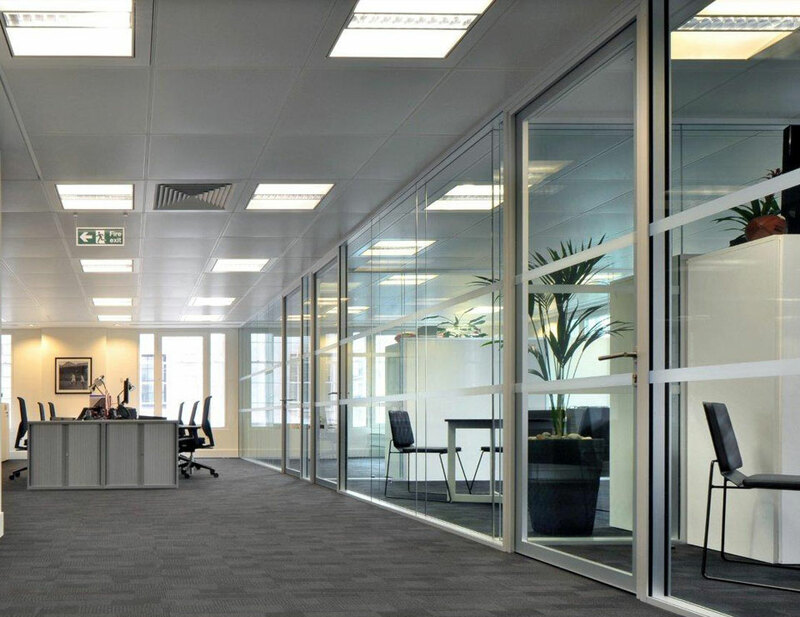 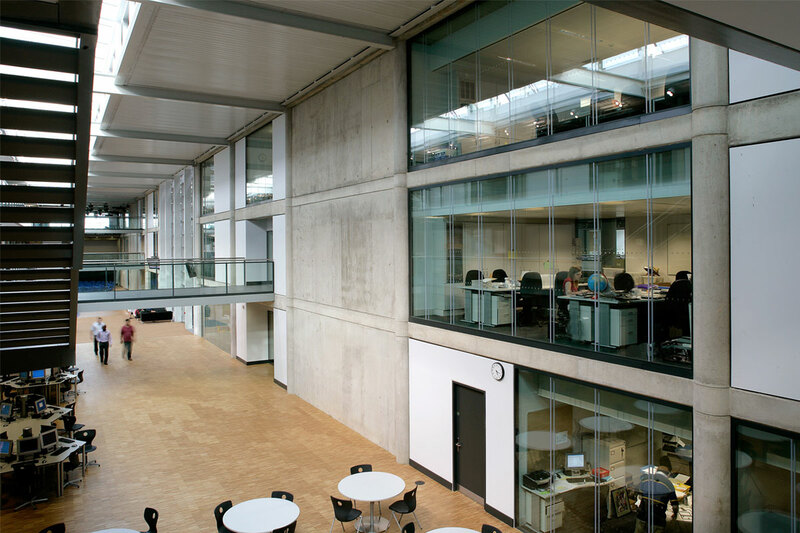 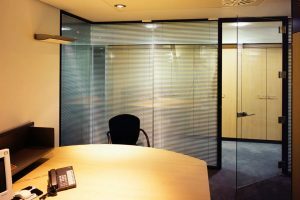 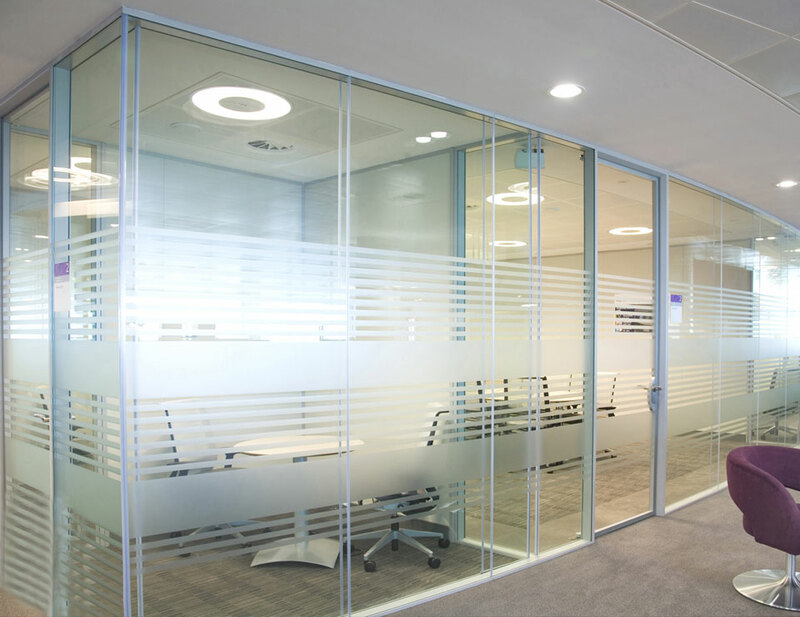 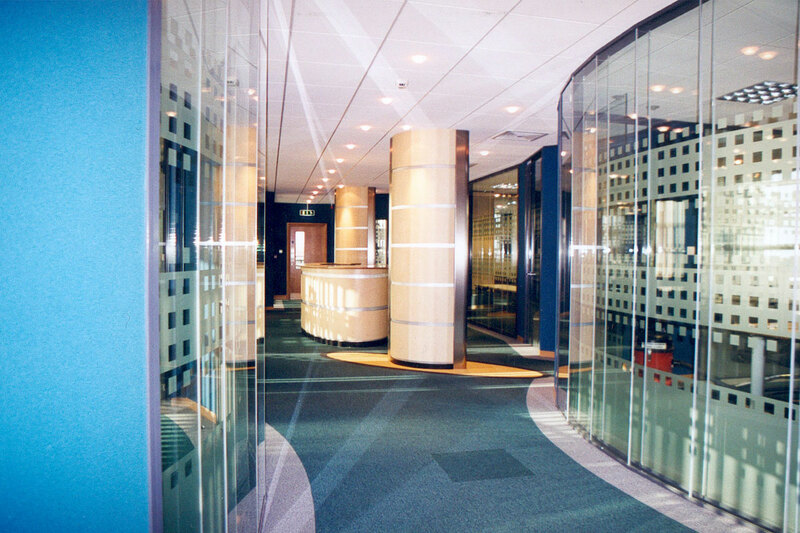 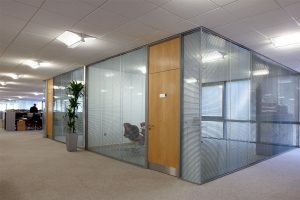 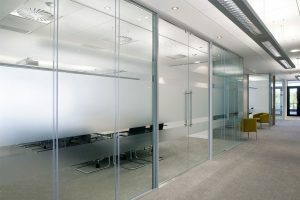 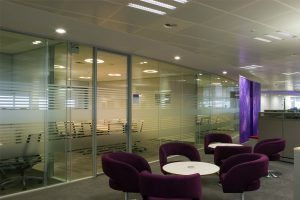 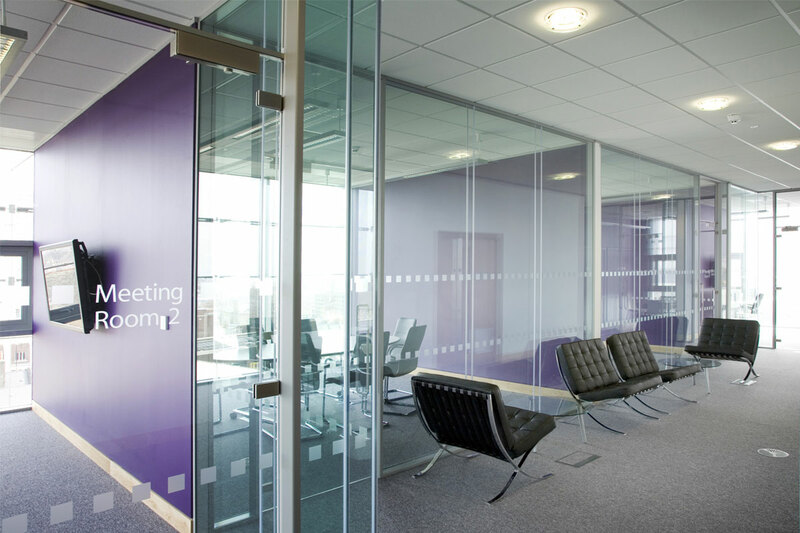 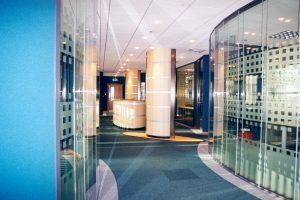 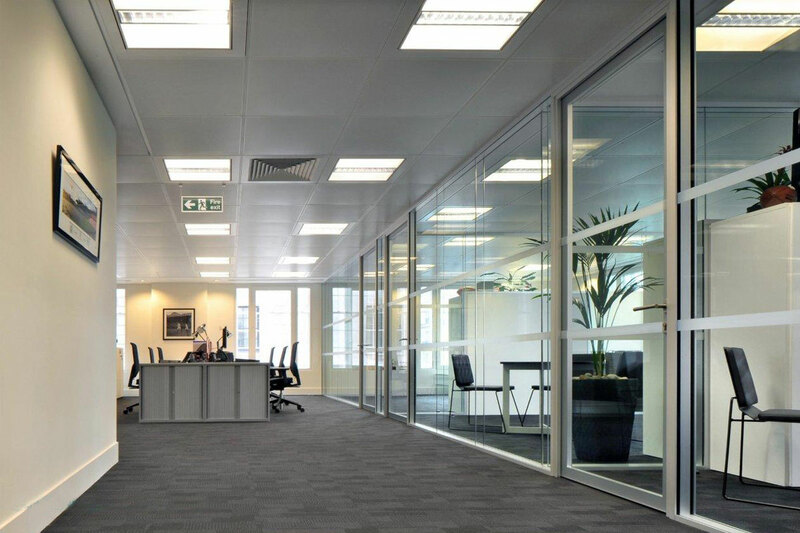 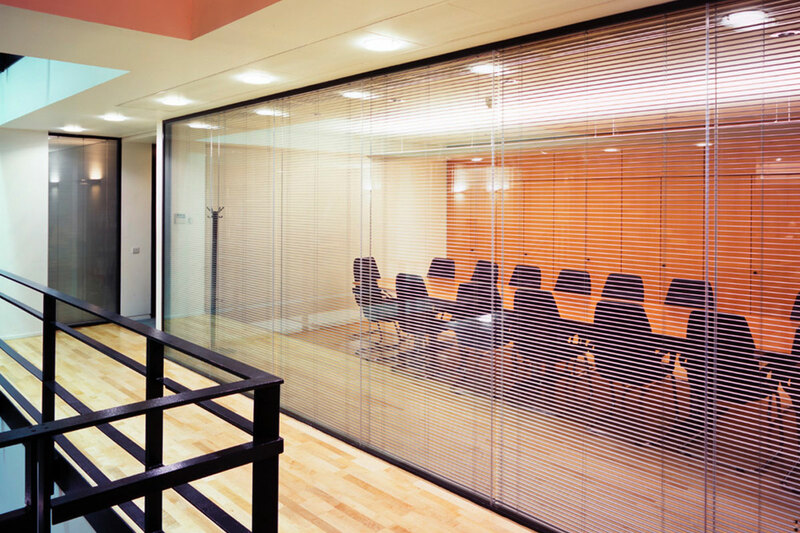 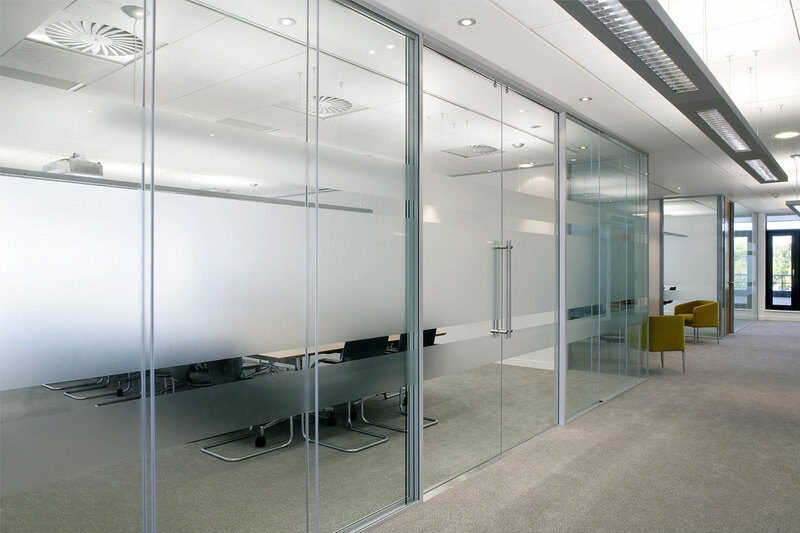 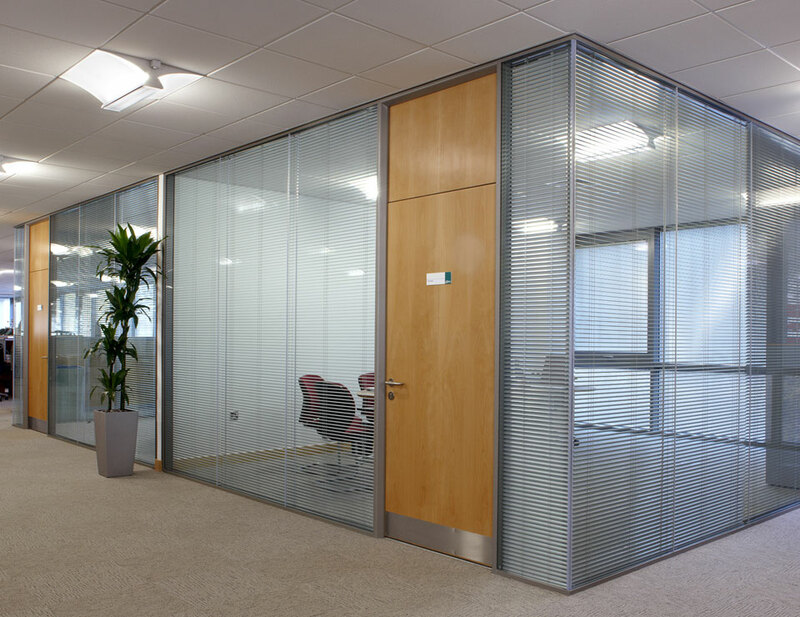 With an STC wall rating of 44 and a door rating of up to 41, the system is ideal for interior offices, conference rooms, meeting rooms and atriums. 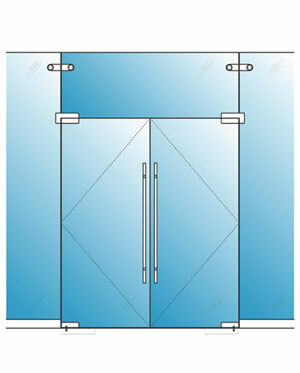 Optional Fire resistance rated assemblies provide up to a rating of 60 minutes. 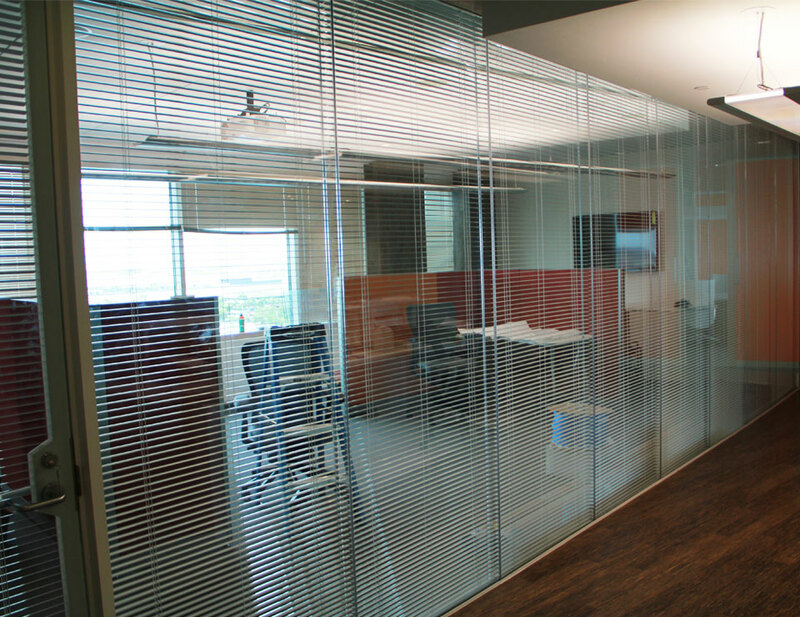 The 1”x4” aluminum track accommodates tempered, laminated, low iron and Lunar™ Smart Glass glazing and may be of standard or custom RAL color. 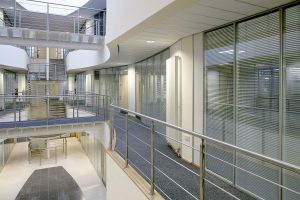 The track may also be of a straight or curved configuration. 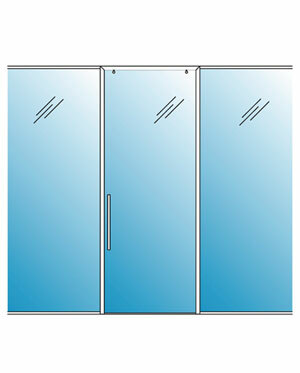 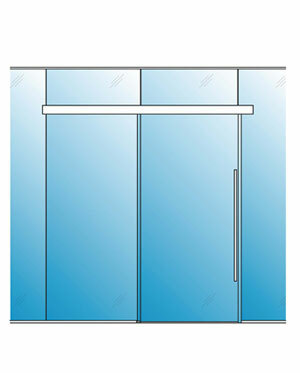 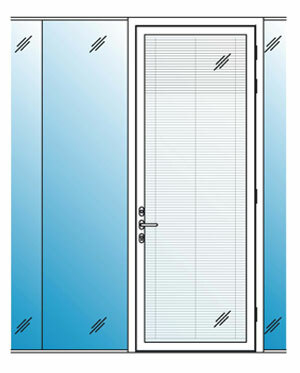 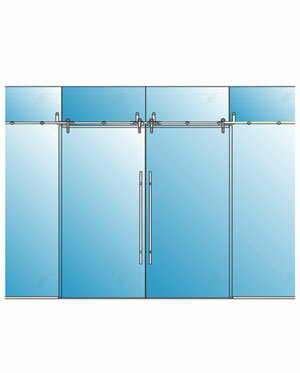 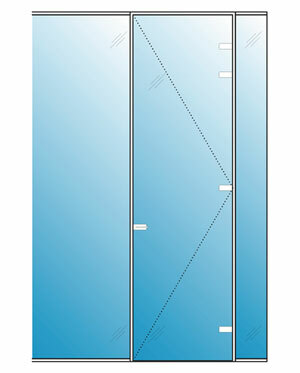 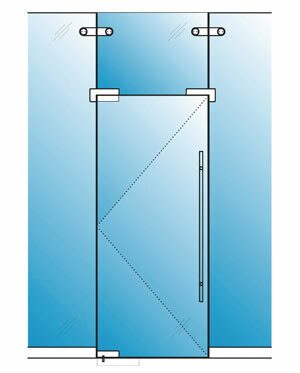 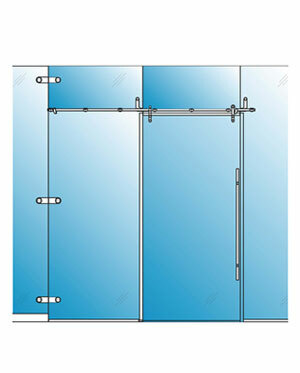 Pivot, sliding and hinged doors may be installed. 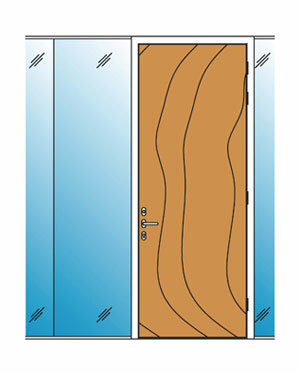 Wood, steel, aluminum and glass doors (single glazed and double glazed) are all compatible within the double glazed system.